Revols headphones can mold to your ear in an instant, giving you a perfect-fitting earbud. 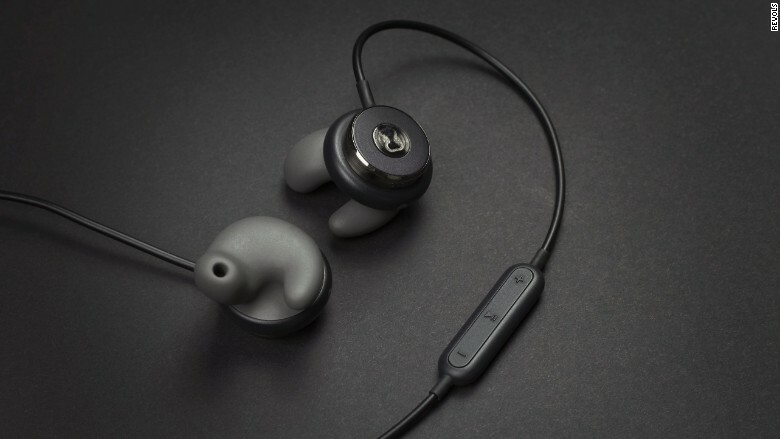 There is no shortage of earbud headphones that claim to be the perfect fit for your ears. But everyone knows those claims are bogus. No matter how many sizes of spare silicone tips you try out, the stupid earbuds ultimately fall out -- or are so tight you can't concentrate. Revols, a startup in Montreal, thinks it has the solution: earbud headphones that mold to your ears. With the help of a smartphone app and some engineering magic, Revols says its earbuds morph into a tight-fitting earbud in 60 seconds. It's a bold claim, but a demonstration of a prototype in the CNNMoney newsroom showed they might actually work. The prototype I wore didn't actually play any sound. The company says it has partnered with audio equipment giant Onkyo (owner of the Pioneer brand) to develop what it claims will be a top-of-the-line audio experience. But that remains to be seen. Other neat-sounding features that I couldn't test include the ability to listen while charging (a Bluetooth rarity), a battery booster that gives the earbuds 14 hours of battery life, and rotating tips that let customers decide if they want to wear the the cords over their ears or under. So all I could try out was the headphones' fit. The earbuds were comfortable and formed such a good seal that they worked as excellent noise-canceling headphones as well (a rarity for earbuds). 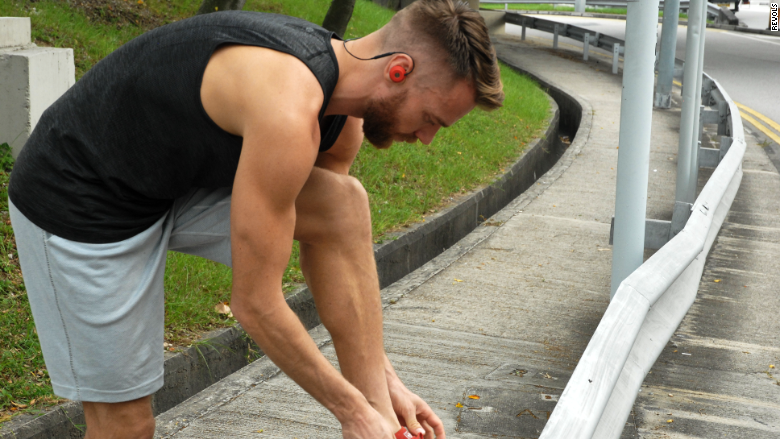 To get the right fit, the Revols headphones contain a gel that quickly hardens when it receives an electrical signal. The companion smartphone app syncs to the headphones via Bluetooth. After tapping a button on the app, the tips begin to warm up a bit and harden. The heat, which kind of feels like you're entering a warm bath, is just an indicator that it's working -- it oddly has nothing to do with the hardening of the gel. The perks of owning perfect-fitting Revols will cost you, though: They're currently on sale on Kickstarter for $199, and when they hit stores next year, they'll retail for $299. The hardening is permanent, but the company says spare tips will sell for between $15 and $20 if customers want to give the headphones away or re-do the molding process. That's a lot to spend on earbuds. Revols has some promising technology. Its Kickstarter campaign gained more than $825,000 from nearly 3,600 backers, so there's probably a market for the product. If Revols can truly deliver a high-end audio experience and best-on-the-market fit from its $300 earbuds, it could have a bright future ahead of it.